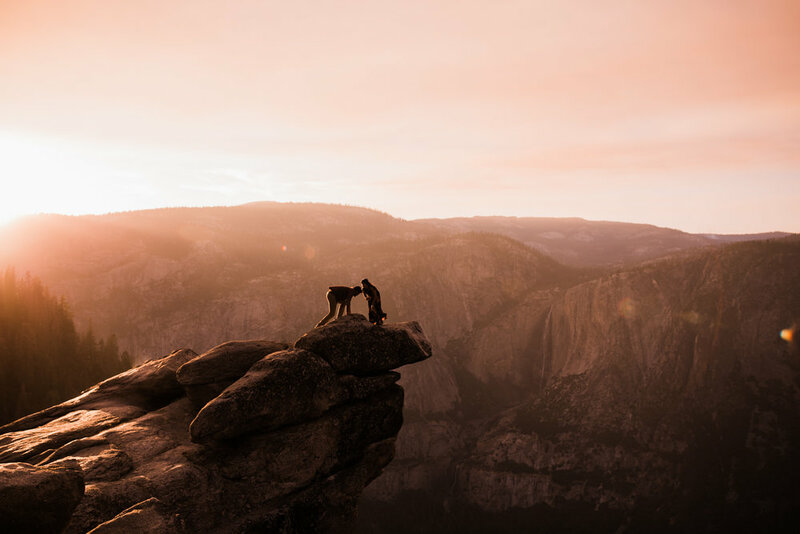 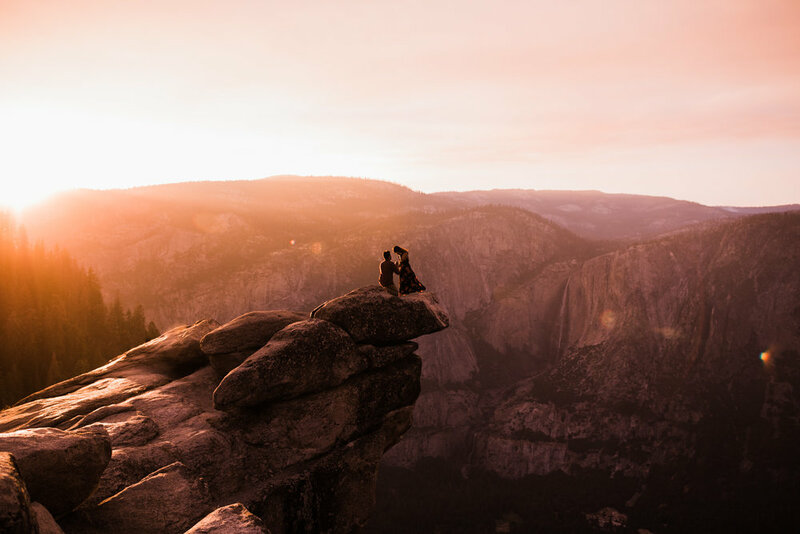 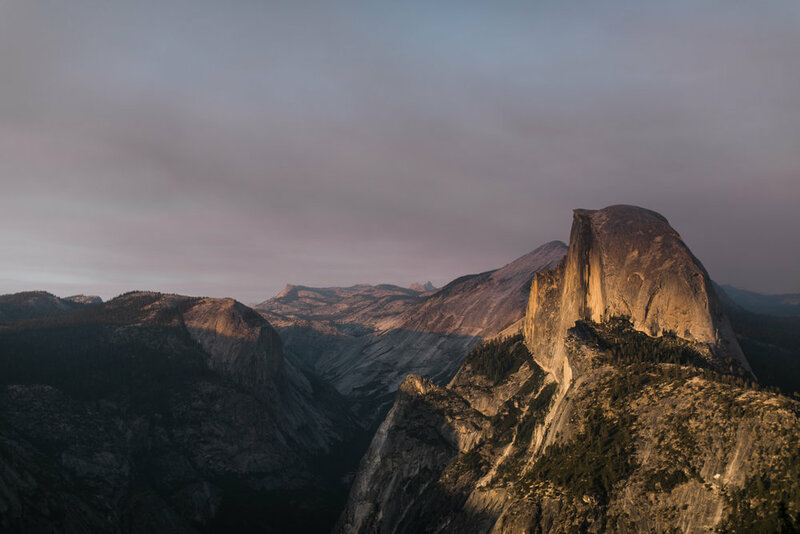 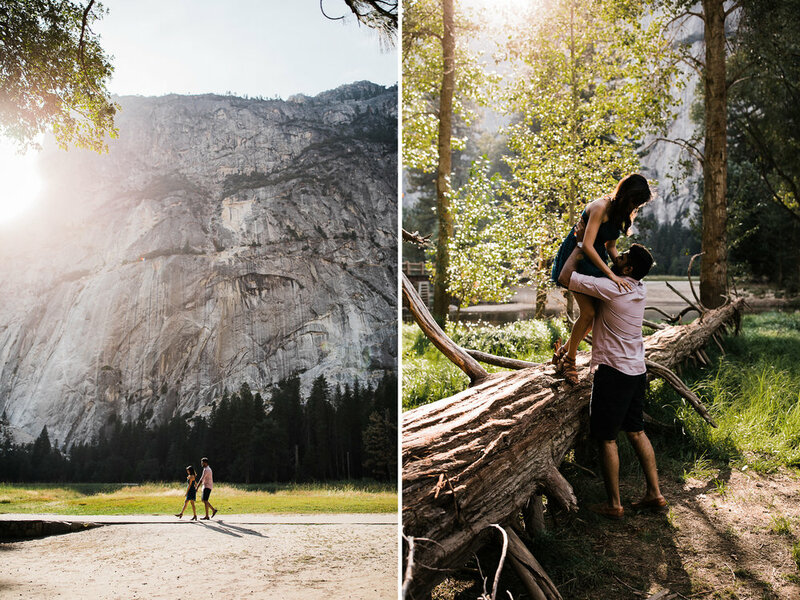 If you've been keeping up with my last three blog posts, you are now realizing why we have dubbed this Yosemite weekend the craziest yet! 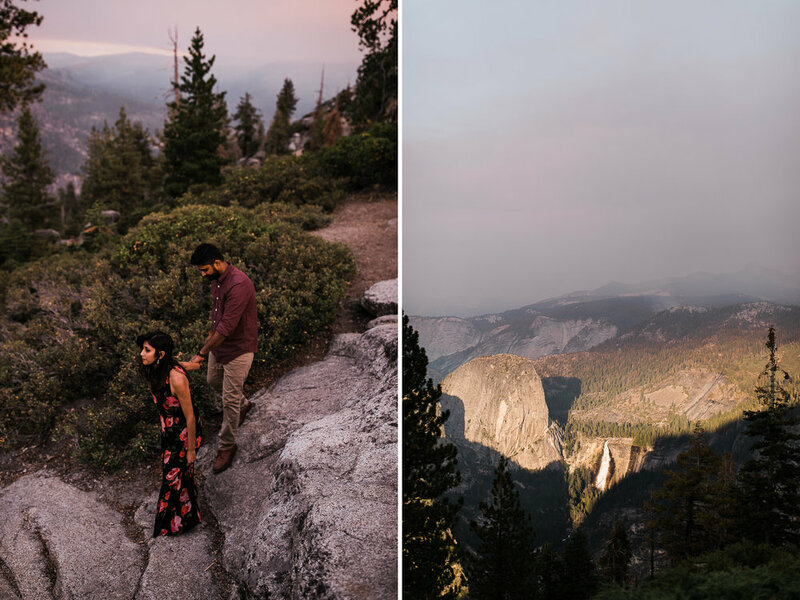 With sunrise and sunset sessions on Friday, and an all-day wedding that started at sunrise on Saturday, we were pretty excited to sleep in and chill out most of Sunday! 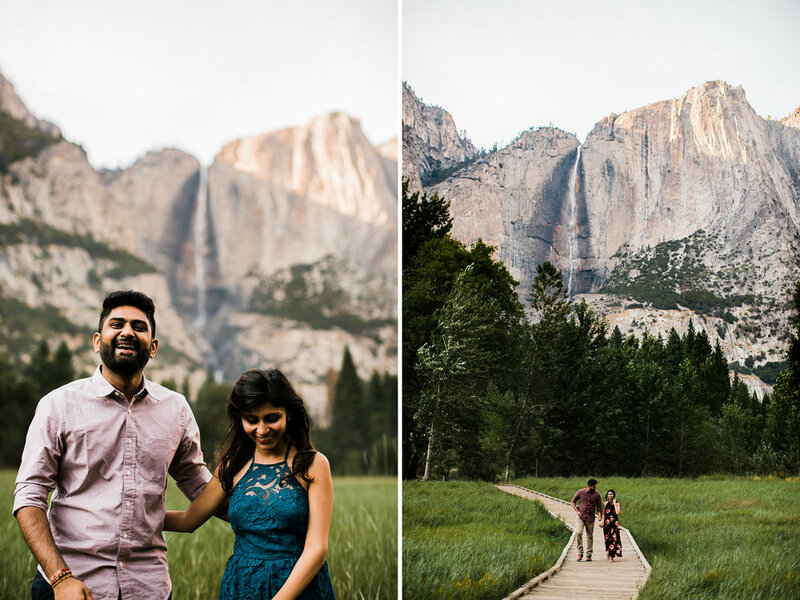 But, after lots of sleep and coffee, we got to end our weekend with Dreema and Jay and I am so glad we did! 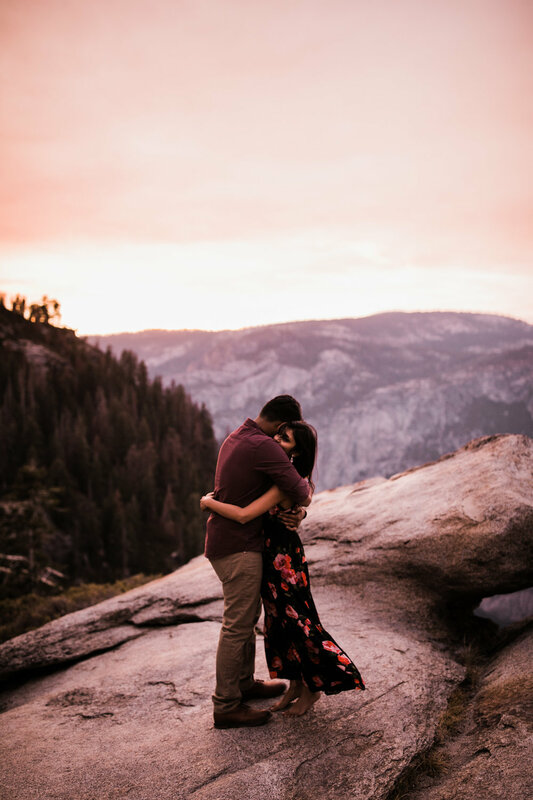 This ended up being one of the sweetest sessions because it included a surprise proposal - it was even a surprise to me! 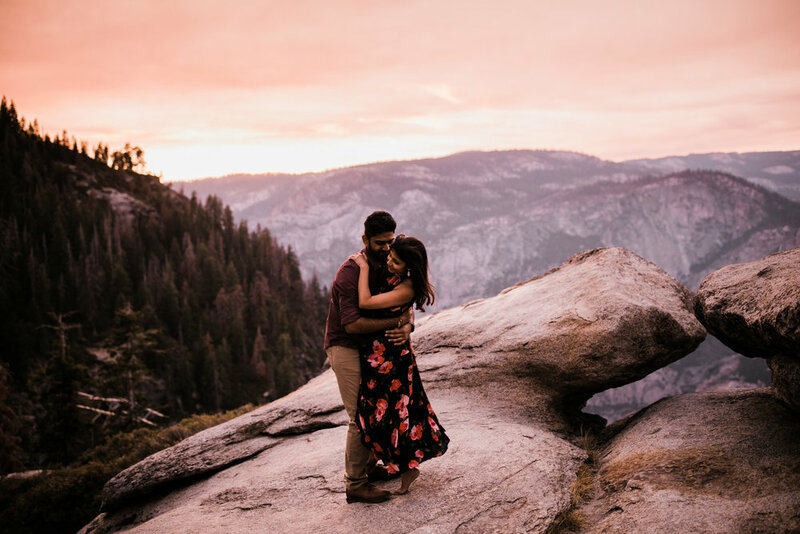 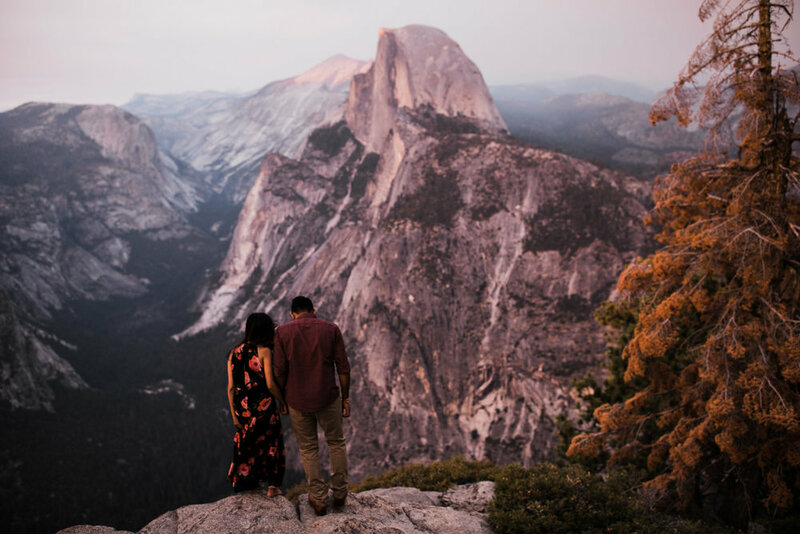 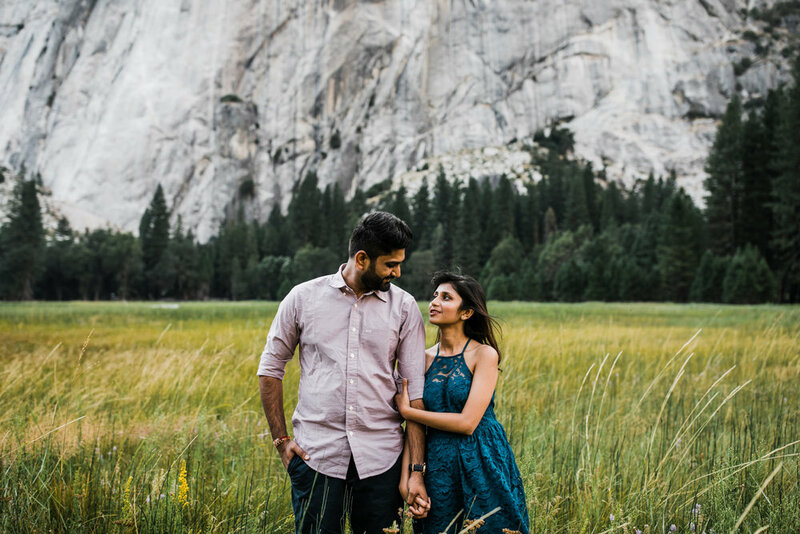 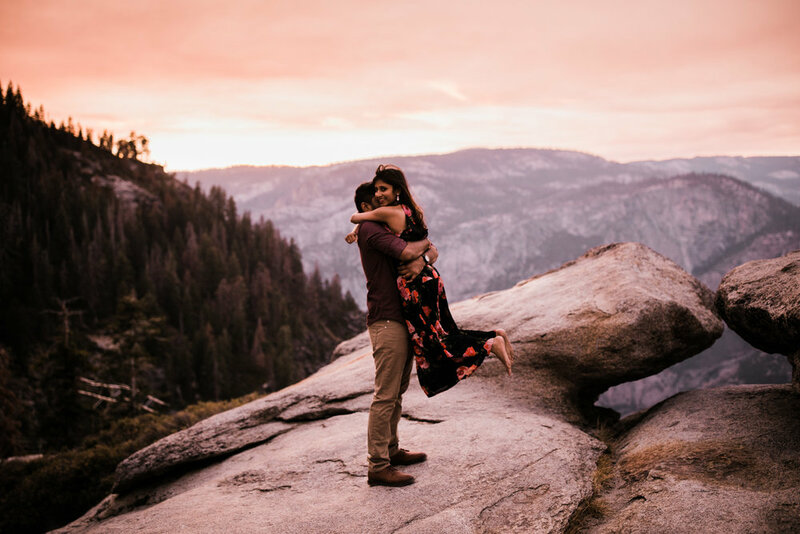 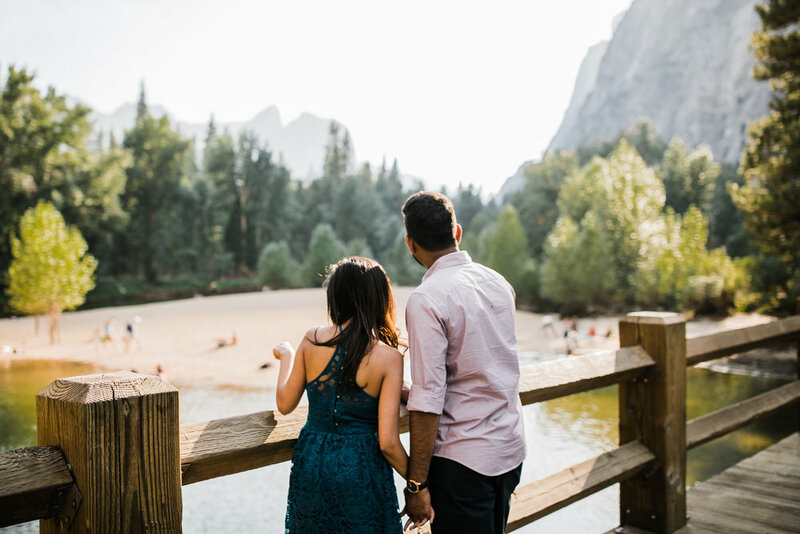 Dreema had scheduled this engagement session with me and while we were chatting at the beginning of the session, they explained that where they're from, you don't get officially "engaged" until you go back home to your families, so she didn't have a ring on but they wanted photos in Yosemite so they booked with me. 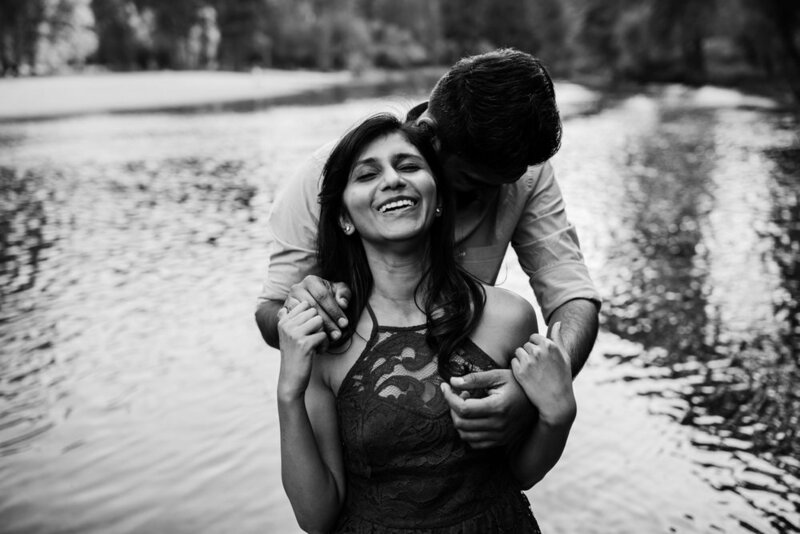 That didn't really phase me, I have taken photos of so many different couples and all that matters is their love for each other so on went the session!